Print is the new trend in advertising. There’s a new trend in advertising sweeping the nation – and it has been around for decades. It's print. This advertising medium is driving web traffic, helping brands separate themselves from competitors and allows you to showcase your brand message along award-winning content only AQUA can provide. 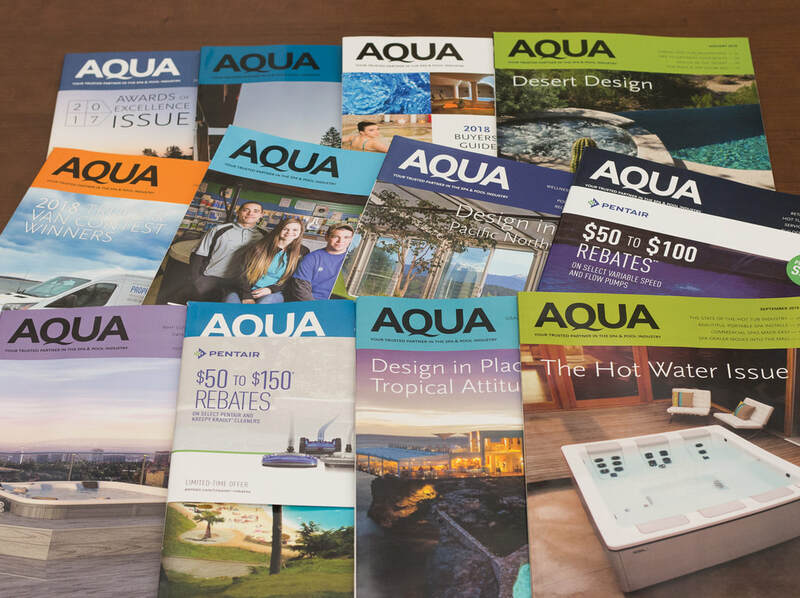 Sent monthly, AQUA magazine is the industry-leading trade publication empowering spa and pool professionals by connecting them to the products, services and solutions they need to be successful. With an audience of 15,000 audited subscribers, 84 percent of whom are the owner, CEO, VP or manager of their company, our publication is your gateway for new leads and is the starting place for an effective and complete marketing strategy. ​Still not convinced? A Signet Research Preference Study concluded that over 82 percent of readers have purchased or recommended a product as a result of seeing advertising in AQUA Magazine. The Perfect Size to Fit Your Needs. Here at AQUA, we know one size does not fit all. That's why we provide advertisers with multiple ad size options that work with any budget or strategy. From a two-page spread to a 1/6 page ad, we have the solutions you need to drive your message forward. A Removable Cover provides additional creative space that reveals a second visually enticing cover with your product. Let the consumer enjoy the big reveal of new products as they unwrap your message with a removable Belly Band. 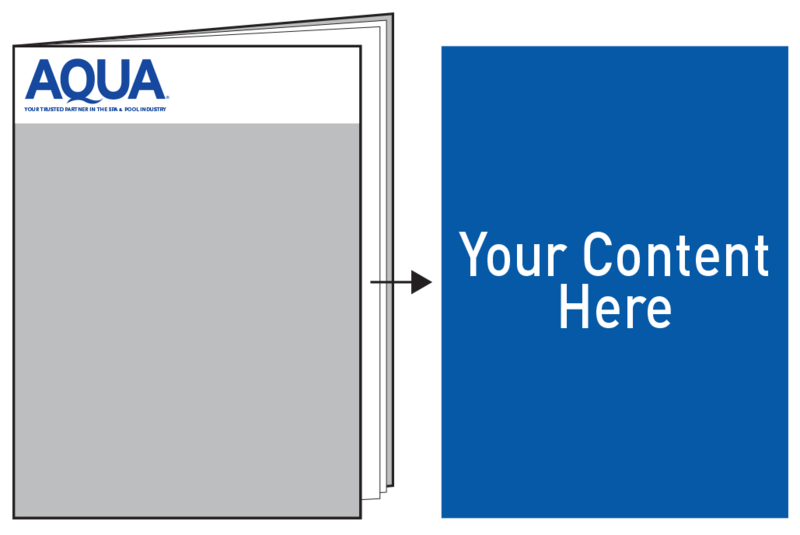 Invite the consumer to interact with AQUA at a later time by marking a page of interest with a Removable Bookmark ad. Want to see Print Ads with AQUA in action? Apply for your FREE subscription to AQUA Magazine today.